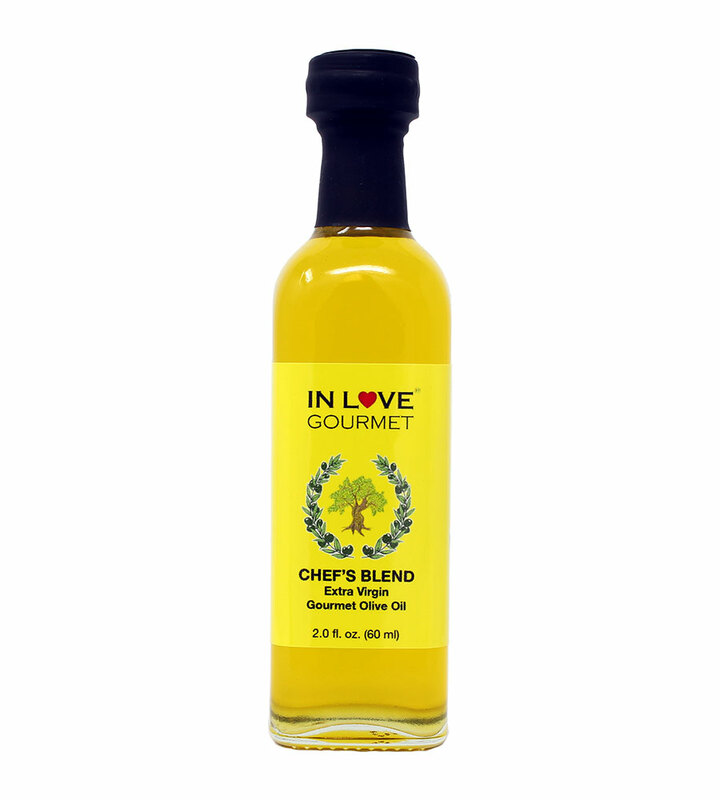 In Love Gourmet® Chef's Blend Extra Virgin Olive Oil 60ML/2oz (Sample Size) All Purpose Gourmet Extra Virgin Olive Oil This is a perfect oil for all uses in the kitchen. It is crisp and fruity overall, has enough flavor for use as an ingredient, but is not so overpowering that it can't also be used directly on a dish or as a condiment. This oil blend varies with the season but always contains a substantial portion of Arbequina with other varietals like Mission and Manzanillo blended in early in the year and Italian varietals blended in later in the year to maintain the same taste profile all year long. Perfect oil for all uses in the kitchen. Crisp and fruity overall, has enough flavor for use as an ingredient. 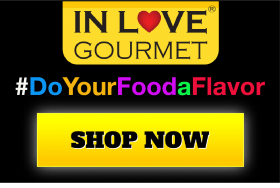 Use directly on a dish or as a condiment.